Austrod are renowned for producing high quality and long lasting Drill Rods. High quality control procedures are undertaken in our state-of-the-art facility. We have spared no expense in acquiring some of the World’s best CNC Technology, to assure that every component is manufactured to the highest level of accuracy. When purchasing our Drill Rods you can rest assure that it has been manufactured from Premium High Quality 4140 Alloy Steel. Clients choose from our large range of Reverse Circulation Drill Rods which have either O’Ring or the much improved Urethane Seal. The most commonly used are the Remet or Metzke Form. Blast Rods: These commonly have Beco or API Regular Threads. 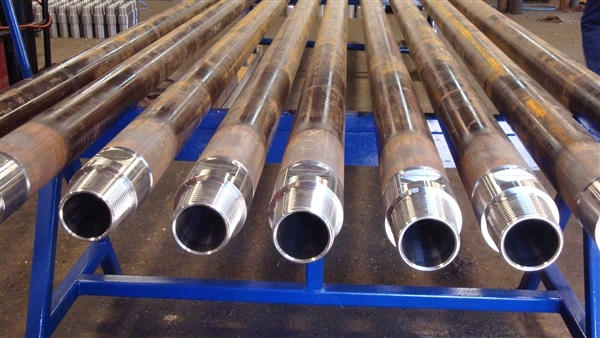 Conventional Drill Rods: These have a large range of threads from API Internal Flush to API Regular. Rab Rods: These particular Rods come either in 65 or 60mm Threads. Stainless Steel Drill Rods: Many used in Reverse Circulation Drilling, where a Non- Magnetic and Non-Corrosive Rod is required. Stabilizer Rods: Can be made to any Form and Diameter and is recommended for when the requirement for a high level of accuracy is needed. Austrod Inner Tubes are engineered from premium quality Alloy Steel to ensure low wear and longevity ,as they are machined to high tolerance, making it easier to inter change in the field of operation. Inner Tubes come with either O’Ring or the much improved Urethane Seal. Given clients feedback Urethane Seals hold better pressure and to some extent eliminate bounce. Here at Austrod we strive to achieve some very innovative style of Adaptor Subs, where the options are endless. 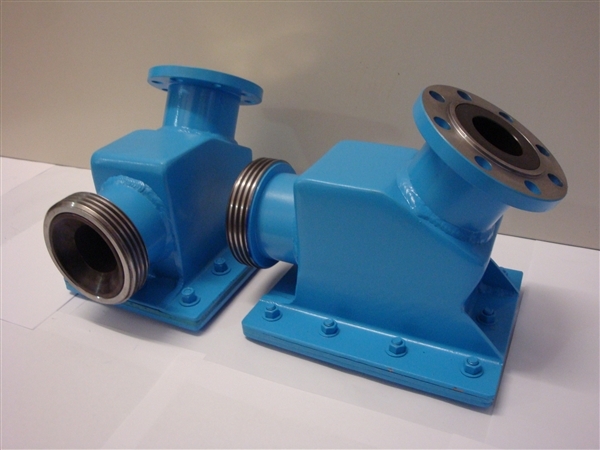 The main purpose of the Adaptor Sub is to join two different styles of thread form whether it’s RC to API and made from high quality 4140 Grade Material to ensure higher reliability and long lasting. There are many versions of Adaptor Subs –including Dig Out Sub, Hammer Cross Over Sub, Saver Sub, Bit Sub, Blow Down Sub, Drive Sub, Roller Bit Sub. Our Deflector Box is manufactured from quality Alloy and Bisalloy Steel. Ensuring a long lasting product with it’s easily replaceable wear item, as these play a big role in slowing the sample down and changing its flow to the cyclone. Our Deflector Box can be changed to suit any client’s need, without jeopardising our quality. These units are manufactured for the sole purpose of clearing a blocked Inner Tube, very robust and simple to control with Hydraulic Lever to actuate the piston. These items save the client time and money and take the place of a Manual Blow Down. Originally designed for the safety aspect to remove the Airline away from the operator. It is an alternative to the Top and Bottom Swivel, hence giving more room under the head. The only requirement for the Dual Swivel is a Drive Sub and Head Wear Tube. Dual Swivels can be easily repaired in the field of operation, and with a small adjustment can serve as a Swivel for Conventional Drilling.